This book was near perfection. In New York City in 1969, four siblings visit a mysterious woman who tells them the dates they will die. The rest of the book shows us how each of them chooses to live their lives in light of what they were told. Was it just a scam? Could it be true? What if the dates of their deaths have been altered by the knowledge itself? Loss is a big theme in this book, as well as the indomitable ties of family, and the difference between living and merely surviving. It’s not exactly an uplifting story, but it is often pure magic in the telling. We’re transported to San Francisco in the 1970s, where many people first felt it was okay to be gay; to magic shows that don’t aim only to create illusions, but to reveal truth; to labs where primates are used for research on aging; to family gatherings both joyous and fraught with tension, and more. 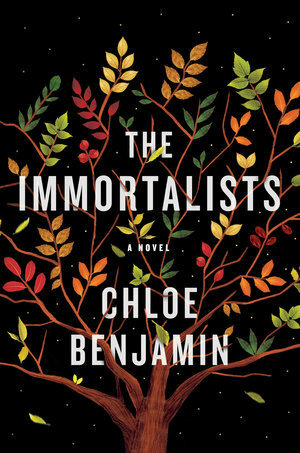 It is worth it to note that, other than the possibility of the fantastical in a woman who may be able to see when you will die, this book is largely literary fiction, with its focus on family dynamics and loss. Some lines remind me of the exact thoughts I had when my own sister passed away. But the story does bring us ultimately to the fringes where grief meets healing. In case you couldn’t tell, I really loved this book!